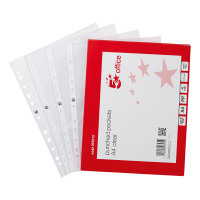 5 Star™ Office is a competitive range of office stationery. 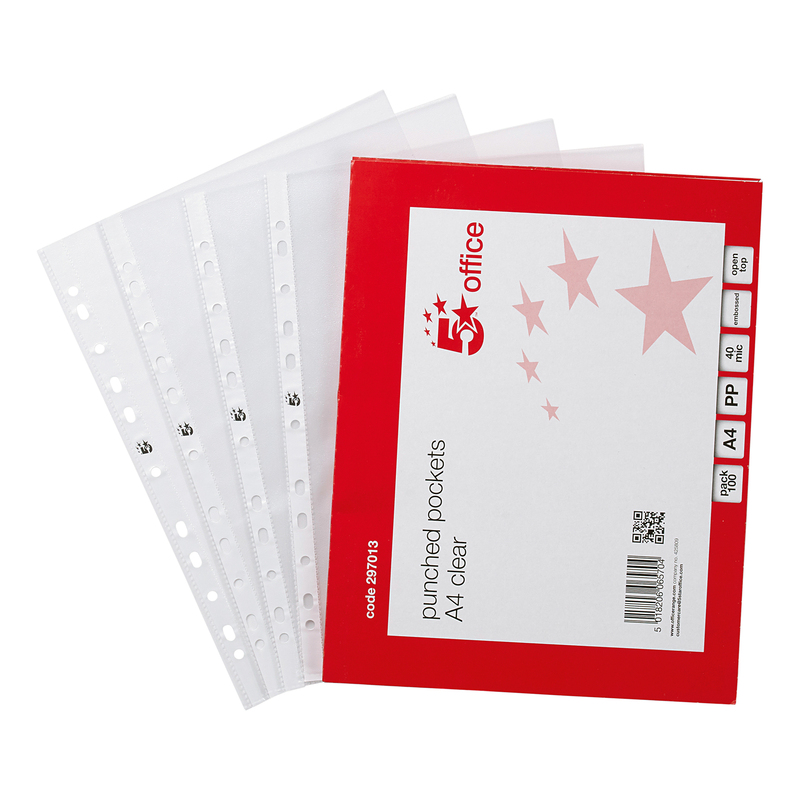 These embossed polypropylene punched pockets securely store your important paperwork with a top opening. Made of durable polypropylene which is copy-safe to protect your written and typed A4 documents, and that allows you to flip pages with ease. 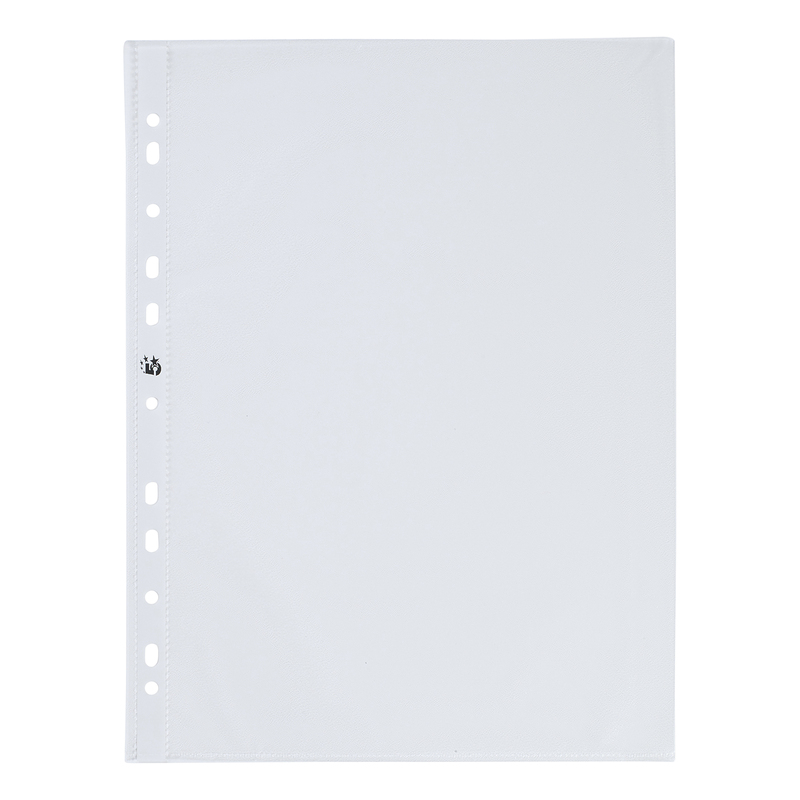 Reinforced white multi-punched edge, allowing you to store unpunched documents in a ring binder or lever arch file. This pack contains 100 wallets.